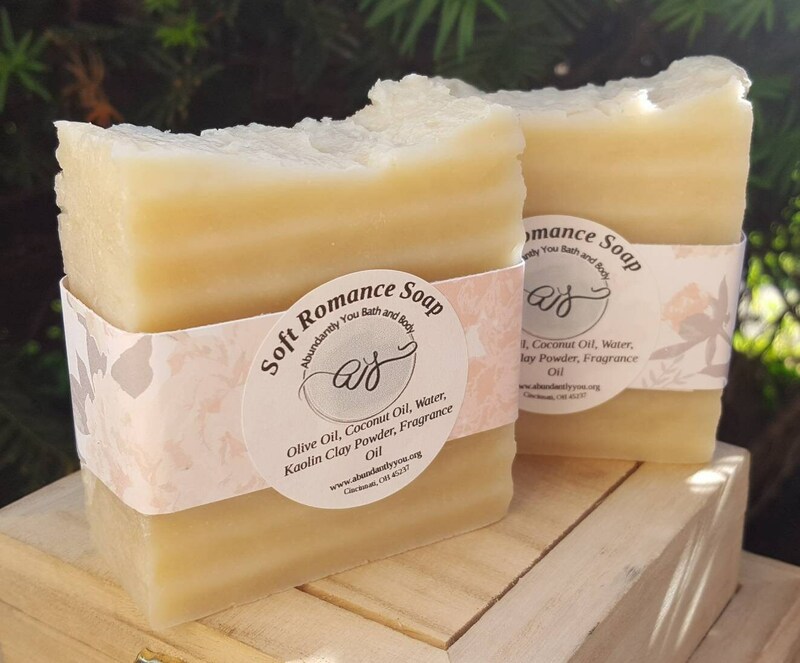 This bar has a silky, creamy, rich lather that cleanses and moisturizes the skin. The fragrance of this clay soap bar has notes of vanilla, sandalwood, and patchouli. To extend the life of your kaolin clay soap bar, keep the bar dry between showers. 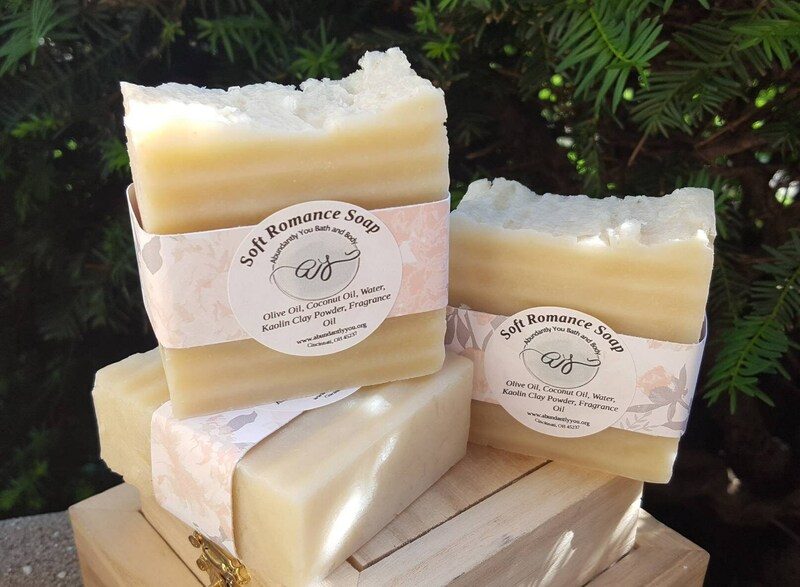 Each soft romance scented soap bar is approximately 4.6 ounces. Each sample size body bar weighs approximately 0.5 ounces.